Marvel's stable of Super Heroes have all met multiple villains with whom they've had to contend. But this summer, some of Marvel's mightiest will come face-to-face with enemies they haven't met yet. Coming this July, ACTS OF EVIL will pit Ms. Marvel, Venom, and the Punisher against first-time foes in their own annual issues. But while Marvelites can expect a trio of battles for the ages, they may see an outcome they were never expecting! 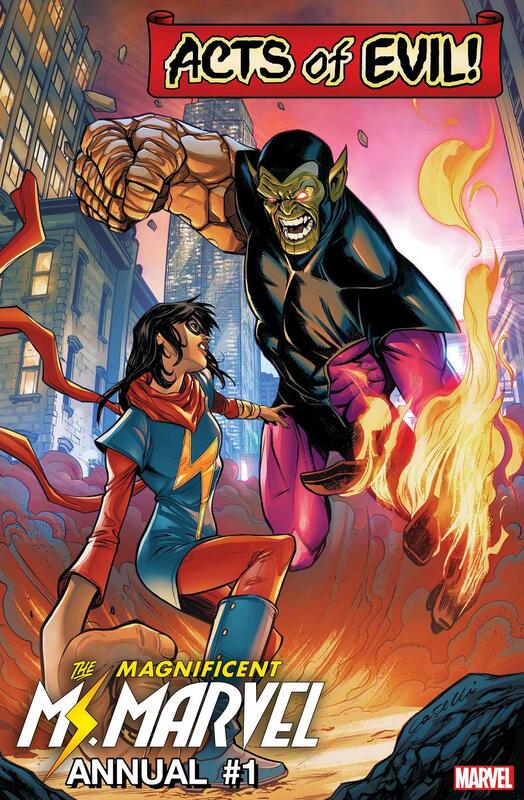 In MS. MARVEL ANNUAL #1: MS. MARVEL VS. SUPER SKRULL, written by Magdalene Visaggio with art by Jon Lim and a cover by Stefano Caselli, Kamala Khan will fight Super Skrull. 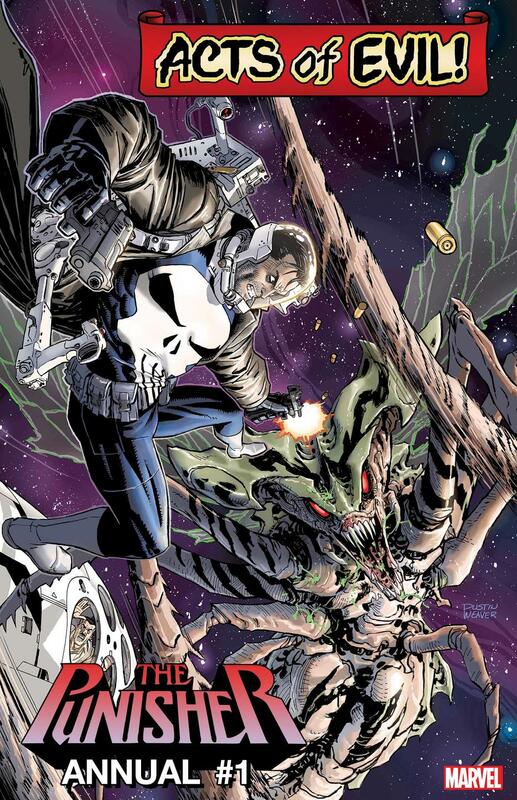 In PUNISHER ANNUAL #1: PUNISHER VS. BROOD QUEEN, writer Karla Pacheco teams up with artist Adam Gorham to pair Frank Castle with the Brood Queen. Dustin Weaver provides the cover. 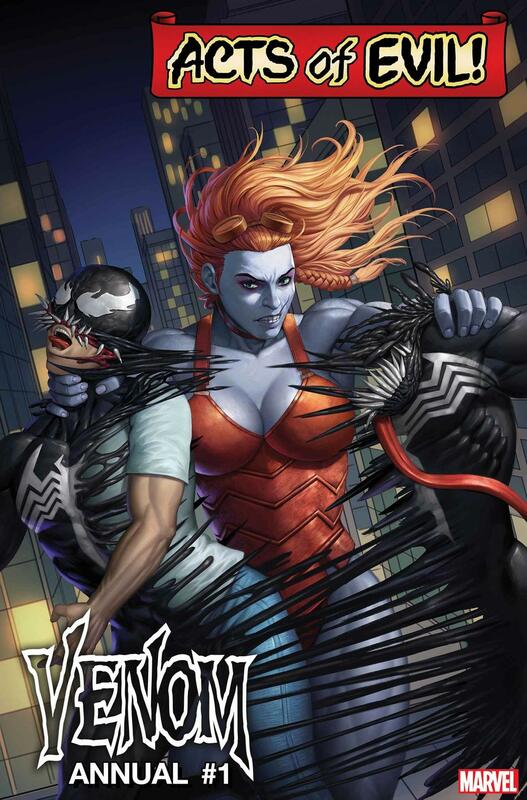 In VENOM ANNUAL #1: VENOM VS. LADY HELLBENDER written by Ryan Cady with art by Simone Di Meo and a cover by Woo Dae Shim, Venom faces Lady Hellbender! And the match-up action doesn't stop here! More ACTS OF EVIL titles will arrive in August and September! Stay tuned to Marvel.com for news and updates on ACTS OF EVIL and other new comics releases!